We are delighted to report that the three Chancellor’s Fellows Daniel Friedrich, Timm Krüger and Filippo Menolascina have been selected for the 2016 Scottish Crucible programme. They are part of the 30 Cruciblists which come from 14 different Scottish institutions and disciplines ranging from arts to veterinary medicine. They were successful in the competitive application process which attracted over 100 applications from early to mid-career researchers. Scottish Crucible - The award-winning leadership and development programme! Ever wondered what a biochemist and a mathematician might have in common, or how a social scientist and a particle physicist could work together? Scottish Crucible is designed to help you find out just what great minds and creative thinkers can do when they come together! Scottish Crucible is all about helping researchers to see the bigger picture. It aims to help researchers think differently and send participants back to their work inspired. The programme has been put together with the express goal of helping participants discover skills and attitudes likely to make your research more innovative. We want participants to return armed with a greater understanding of how science can benefit society and how thinking creatively can really make a difference to their work and their career. Enable participants to widen your networks and create new and innovative collaborations with researchers in other disciplines. Encourage participants to develop an ongoing relationship with the Royal Society of Edinburgh - becoming part of the wider RSE network. Increase innovative capacity amongst highly promising research leaders of the future who are building their careers in Scotland. Increase participants' understanding of how research can impact on Society and how they could communicate their work to a wider audience. 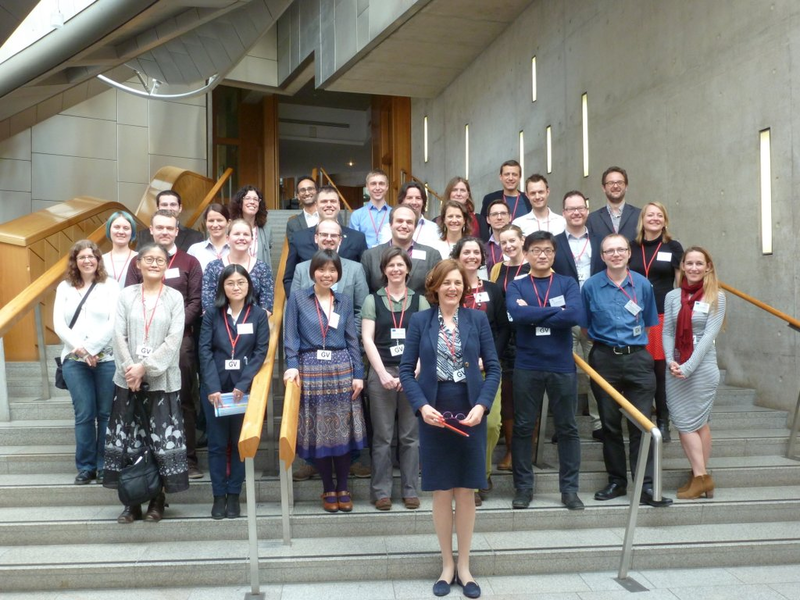 Scottish Crucible is supported by a myriad of funders, which in 2016 include the Scottish Funding Council, the Royal Society of Edinburgh, Edinburgh Napier University, the University of St Andrews and the University of Strathclyde.